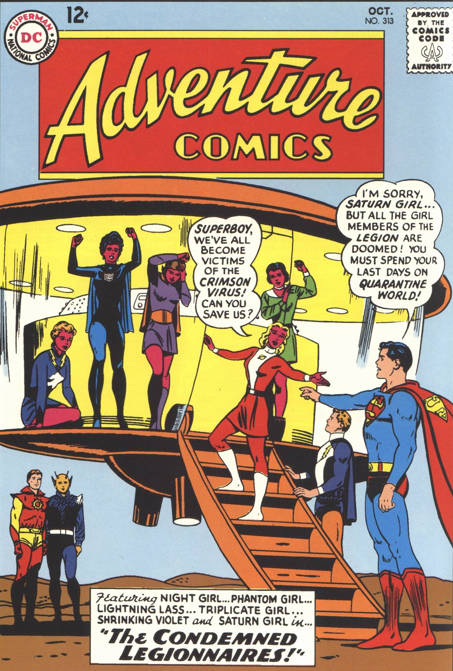 Supergirl makes her first appearance with the Legion in their Adventure Comics run, in issue 313 (Oct 63) in a story that sort of features the female Legionnaires, in so far as they all come down with a mysterious disease. 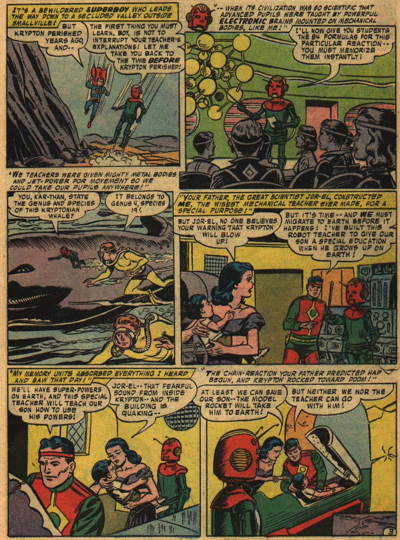 Saturn Girl,Phantom Girl,Triplicate Girl, Shrinking Violet and Lightning Lass fall ill from the Crimson Virus, as does Night Girl from the Subs, and are taken to Quarantine World. Satan Girl shows up and claims responsibility for the disease, and that she intends to head to Quarantine World and kill the women. Rather than pursue her, Sun Boy appoints Supergirl temporary leader and sends her off to battle Satan Girl, while the rest of the guys stay safely on Earth. Cowards. Anyway, Supergirl is mystified by Satan Girl, who not only is equally powerful, and immune to kryptonite, but also seems to know everything about Supergirl. 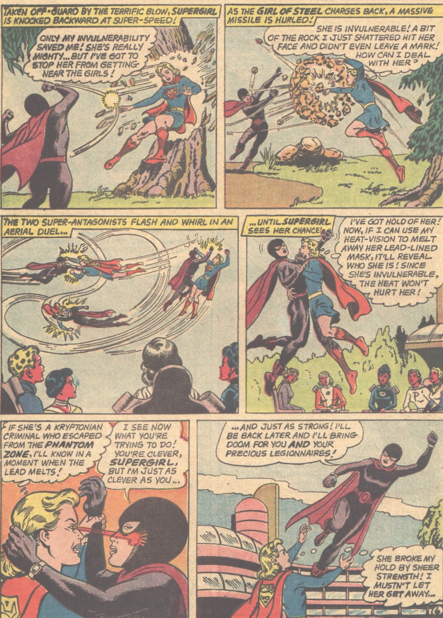 Supergirl heads back to Earth, and convinces the boys that they need to move the girls to a secret location. Bouncing Boy once again proves himself extremely useful. 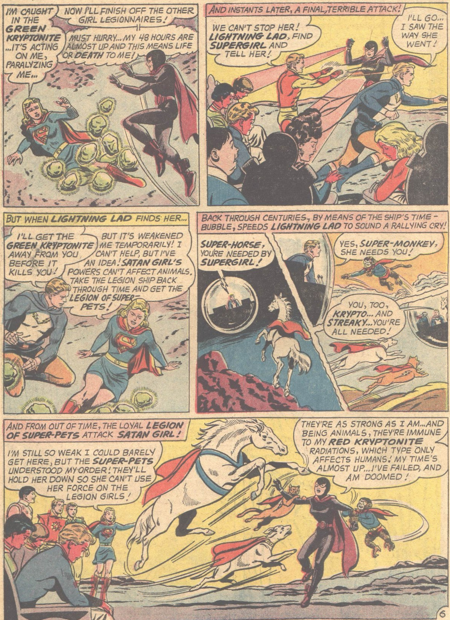 As Satan Girl’s powers cannot affect animals, Supergirl assembles the Legion of Super-Pets and has them take down the villain. Ultimately, it turns out Satan Girl was an evil duplicate of Supergirl, created by red kryptonite she was exposed to on her trip to the future. Satan Girl does make one further appearance, as part of the End of an Era storyline in the early 90s. Not the greatest Legion tale by Edmond Hamilton, but it does have Curt Swan art. And I’m a sucker for the Super-Pets. 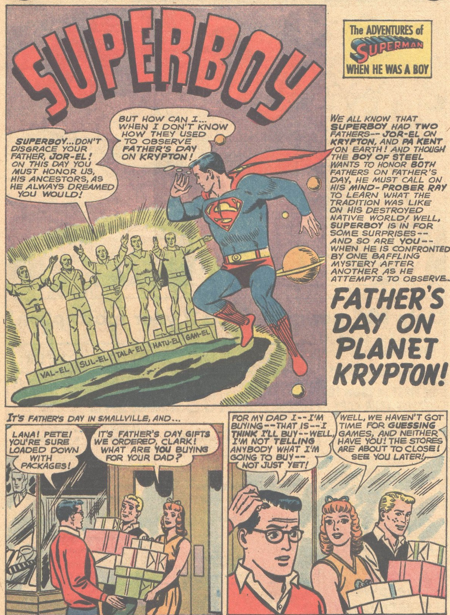 After giving Pa Kent a Father’s Day present, Clark uses a mind-probe machine to remember how the day was celebrated on Krypton. We get to see Jor-El taking baby Kal to the family tomb, with its row of statues commemorating great heroes of the El family. 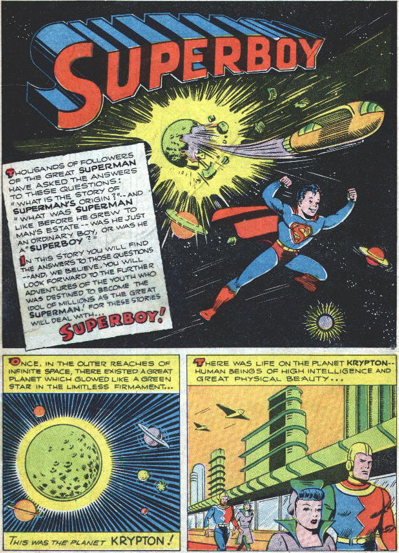 Superboy seeks out the statue and in space, and wouldn’t you know it, finds it intact and floating around, along with a box of curious objects. It’s much more of a challenge to approach the poisonous statuary group than to figure out the purpose of the objects, which clearly fit into the hands of the statues. 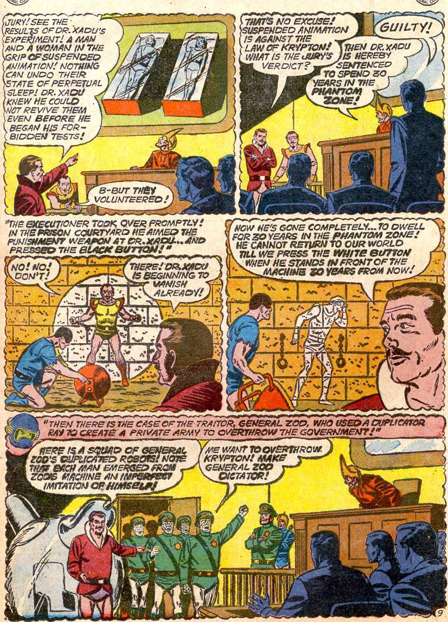 Superboy succeeds by covering the whole thing with lead, and we (and he) learn that the El family included a great explorer, inventors, the writer of Krypton’s constitution and a renowned architect. This statue group would appear occasionally, as would some of the men pictured. Primarily, it would be the basis for part of the Krypton Chronicles mini-series. 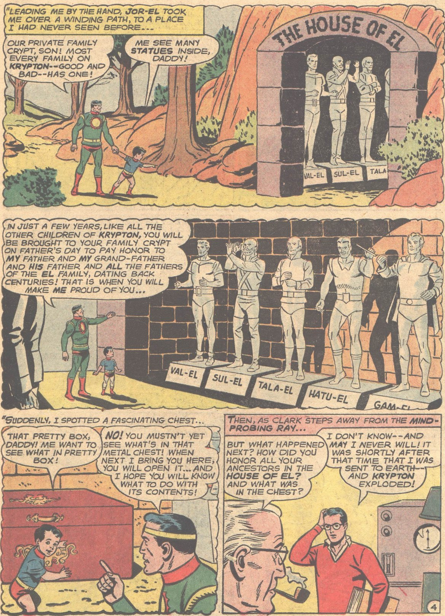 Adventure 287 (Aug 61) begins a 2-part Superboy story, spending its time by giving an extended backstory to Dev-Em, the Knave from Krypton, in his debut appearance. As a result, Superboy is really only a supporting character in this tale. Dev-Em and his parents live next door to Jor-El and and Lara, and he is shown as a rowdy and criminally irresponsible teenager. He almost runs over baby Kal and Krypto with his car, steals, vandalizes, and even breaks into Jor-El’s home. Though it’s because of that that Dev and his parents wind up surviving the destruction of Krypton. 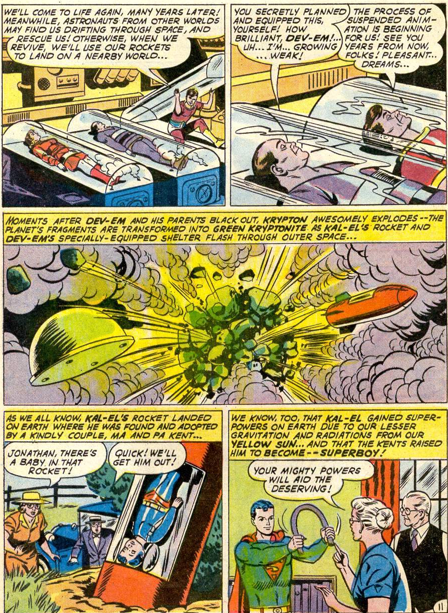 After reading Jor-El’s notes, Dev converts a backyard bomb shelter (ah, peaceful Krypton, where families have big bomb shelters in their backyards), preparing it to block the deadly kryptonite radiation that Jor-El theorized. Dev-Em convinces his parents to go into suspended animation with him, but awakes before them. 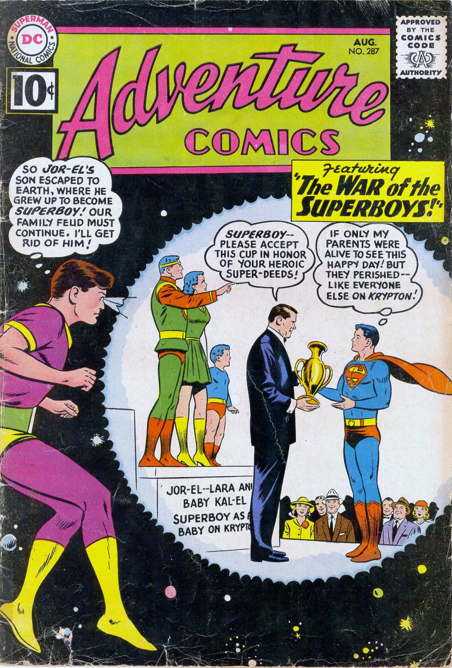 He must be near Earth, because his powers have kicked in, and by using super-vision he spots Kal on Earth, receiving a trophy as Superboy, and decides to head there and get rid of him. 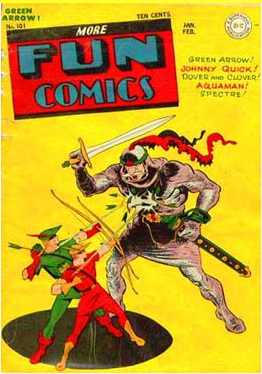 The story concludes in the following issue. 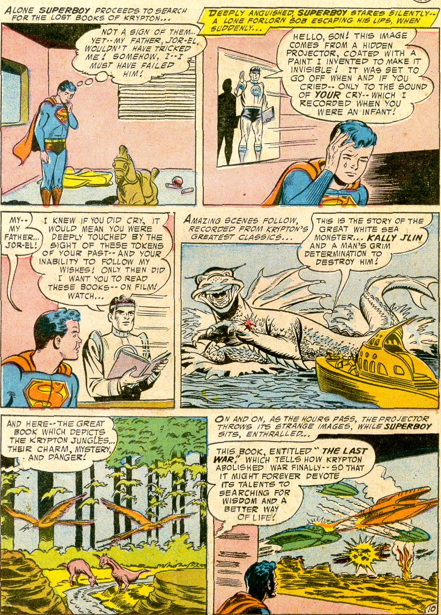 After being yelled at by Perry White for not getting any good stories, Jimmy sees a spaceship, apparently being boarded by Superman, and stows away. Of course, it was not Superman, it was Bizarro, and Jimmy winds up on Bizarro World. He starts working at the Daily Htrae, under Bizarro Perry White, but has even less success than he does on Earth, as he cannot grasp what makes news on Bizarro World. 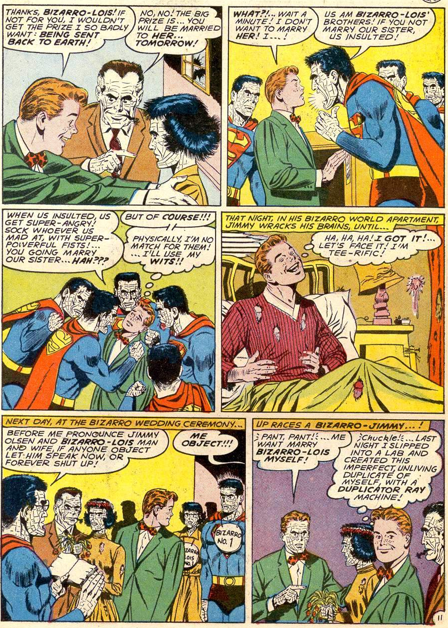 It’s a fun little tale, but again I find it curious that Otto Binder wrote the serious Sueprboy story in this issue, and Jerry Siegel the silly Bizarro one, rather than the other way around. Jimmy just wants to head back to Earth, but as long as he keeps bombing out with his news stories, the Bizarros have no intention of returning them. 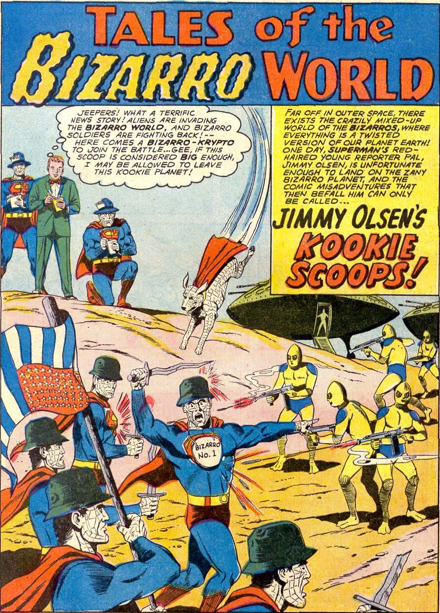 Finally, Jimmy creates a Bizarro version of himself, and is punished by being sent back home. 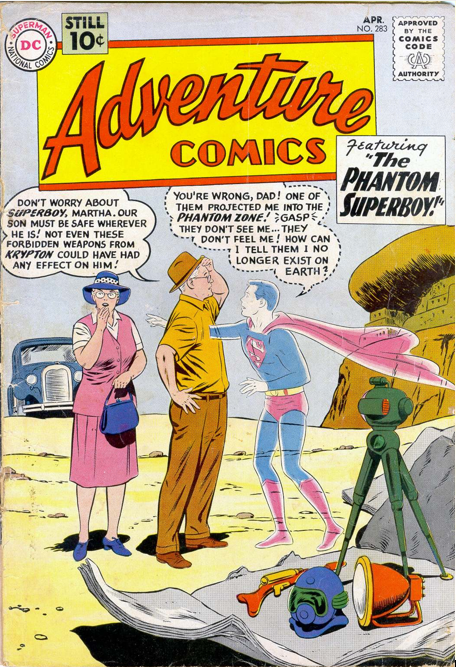 Unlike so many stories that retroactively put people and items from the Superman series into the Superboy one, Adventure 283 (April 1961) really is the first appearance of the Phantom Zone, which would quickly become a major element throughout the Superman books. A box of deadly Kryptonian weapons lands on Earth, just outside Smallville (where else? 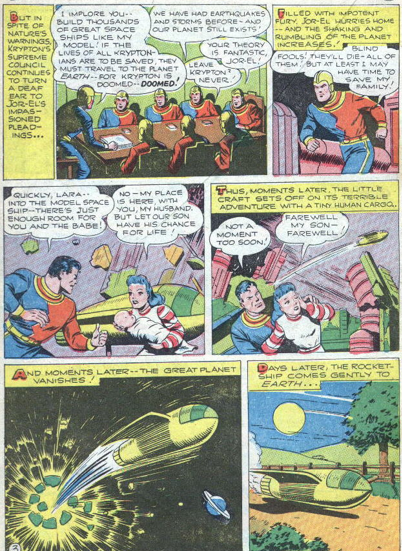 ), and Superboy discovers that it was Jor-El (who else?) who sealed them away. 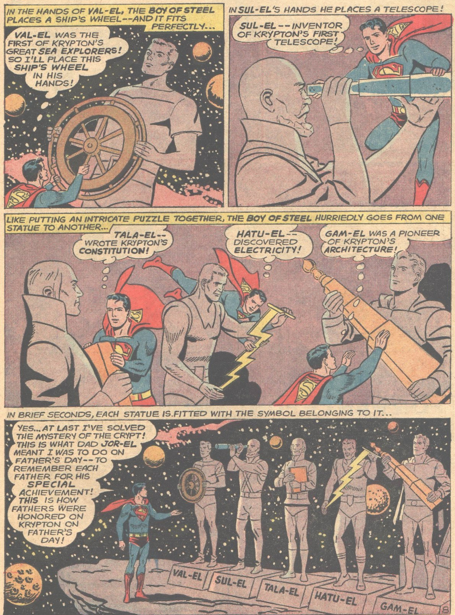 Superboy examines the weapons, including a disintegrator gun and an enlarging ray, but its the Phantom Zone projector that is the important one. We learn, in flashback, of Dr Xadu, the first person sentenced to the Zone for failed experiments on suspended animation, and of General Zod, who attempted to overthrow the government of Krypton with a Bizarro army. 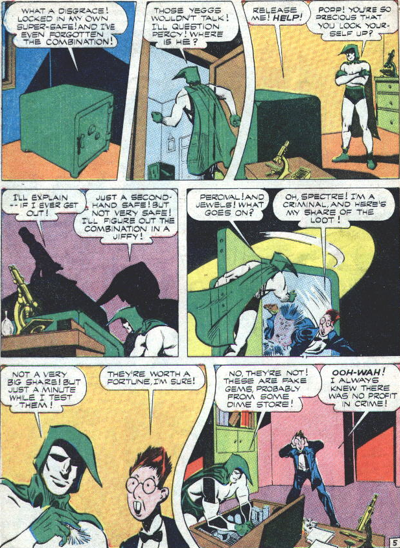 This is the first appearance for both characters. Superboy then accidentally sends himself into the Phantom Zone, so we get to see how they exist as insubstantial beings who can see and hear what is going on in the real world, but cannot be perceived themselves. 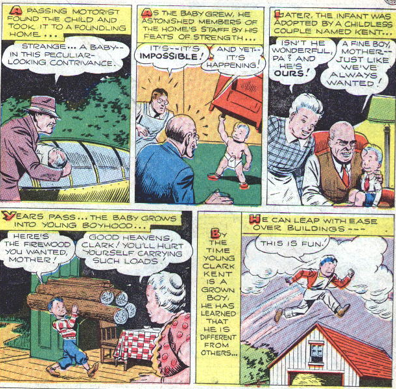 Superboy manages to escape by mentally causing a typewriter to work, detailing his situation, and Pa Kent uses the projector to free him. Never again would anyone in the Zone find it so easy to affect real objects. While Dr Xadu would appear rarely, General Zod would become one of Superman’s greatest foes. 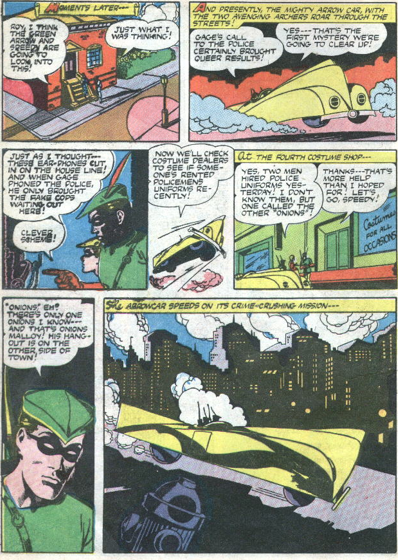 Congorilla’s final story gives him a decent villain, so it’s sort of a shame that it ended here. A greedy scientist finds King Solomon’s Mines, and wants to keep the treasure for himself. He devises a way, much like the magic ring, to transfer his brain into a lion’s body. As the lion he scares off anyone who approaches. Congo Bill at first believes he is facing a nasty lion, but eventually realizes there is a human mind behind it all. At the end, he raises the possibility for the lion to return, and if the series had not ended at this point, I expect he would have. It’s not like Congorilla had much of rogue’s gallery. 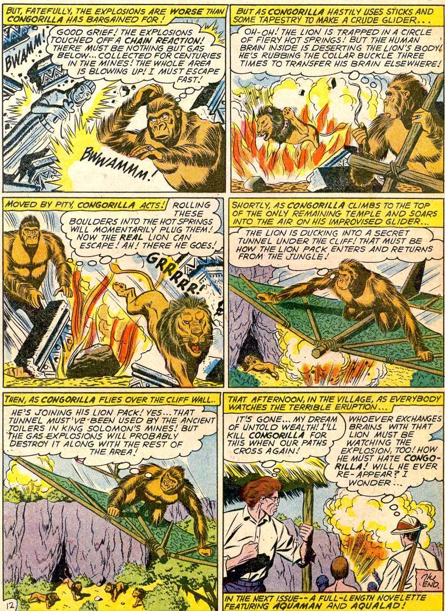 Congo Bill and Congorilla would both return a few months later in a story in Action Comics, and continue to appear on occasion throughout the DC Universe. 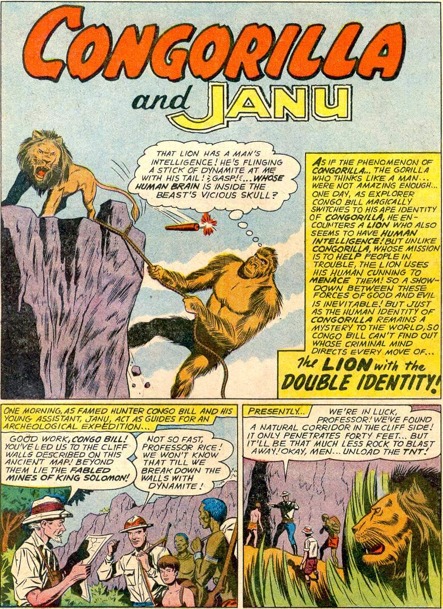 Janu would have to wait until the 1980s, and Swamp Thing Annual 3, for his return, as an adult. 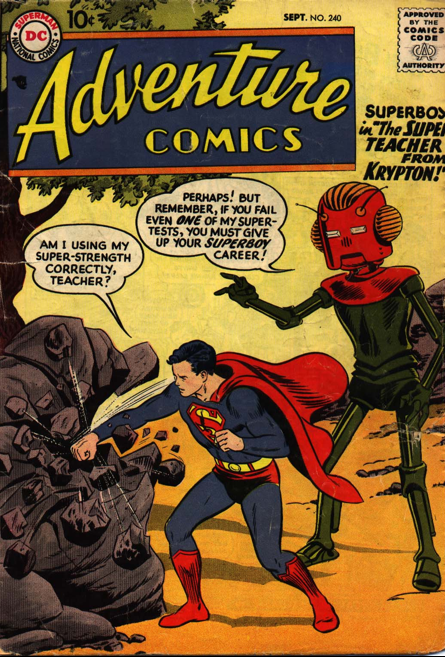 Adventure 240 (Sept 57) introduced a robot teacher from Krypton, sent to train Superboy by Jor-El. Thankfully, he was not shot to Earth, landing just outside Smallville. Instead, he (it?) survived the destruction of Krypton and spent years seeking Kal-El. 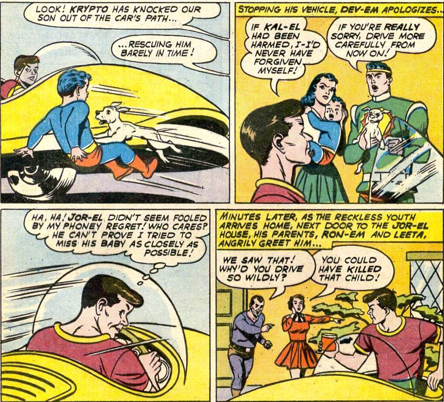 The robot teacher informs Supeboy that Jor-El wanted him to put Superboy to a series of tests, which he must pass in order to continue to operate as a hero, and Superboy agrees. What a control freak Jor-El was! 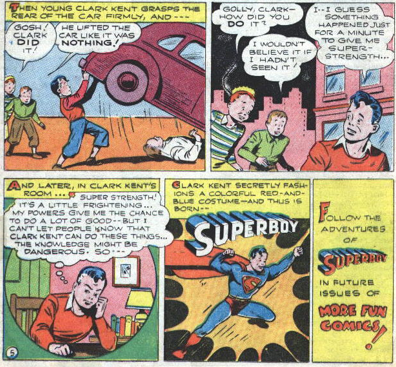 So anyway, Superboy endures tests of his abilities at using super-speed, invulnerability, x-ray vision, and then as a “final”, he must openly use his powers as Clark. 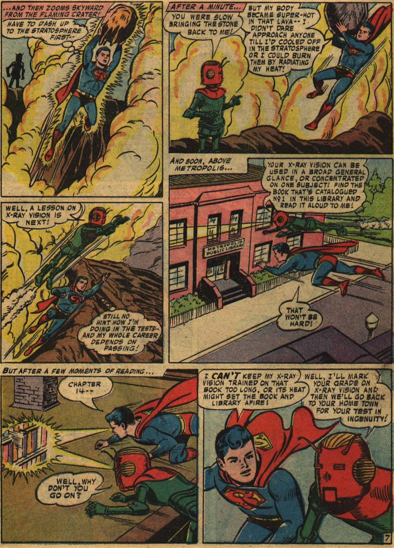 Clark turns the tables a bit on the robot with this one, putting him in the Superboy costume, and using him to cover his identity. 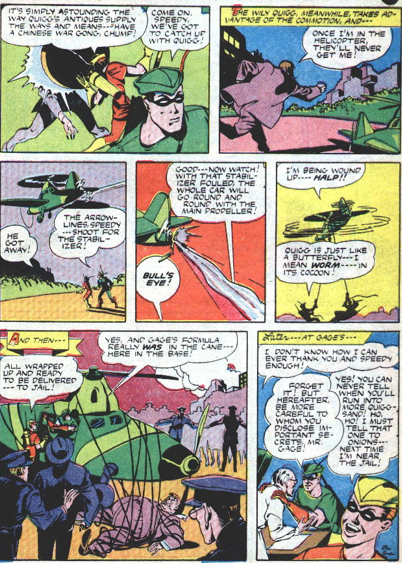 Throughout the story the robot never gives any indication of how Superboy is doing on his tests, but at the end tells him he failed, and must give up his heroing career. Superboy agrees. And bang, that was the last and biggest test! 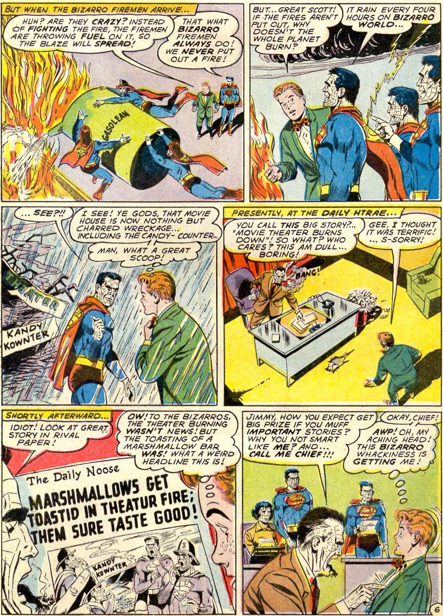 Superboy had excelled expectations throughout, but the robot let him think he was doing poorly to set up that last test. Overall this is an excellent story, penned by Edmond Hamilton. The robot leaves at the end, and it’s clear he was intended as a one-shot character, but he would make a few more appearances over the years. Clark is awakened one morning by a huge crash, and discovers that his entire hometown from Krypton has crashed on Earth, intact, right outside of Smallville, in defiance of physics and logic, in Adventure 232 (Jan 57). 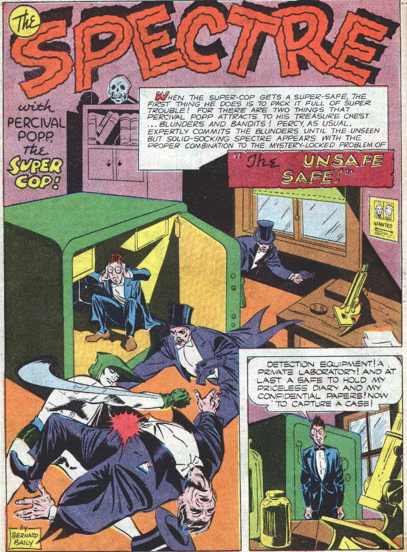 This is the story that Wizard City reminds me of, as once again it’s a city of wonders that Clark cannot spend time in, because of kryptonite. It’s also a direct forerunner of the Bottle City of Kandor, a Kryptonian city on Earth. In this case, Jor-El knew that the city would find Clark, and left him orders to build a memorial to Krypton, save another planet doomed to destruction, and read all of Krypton’s classic literature. 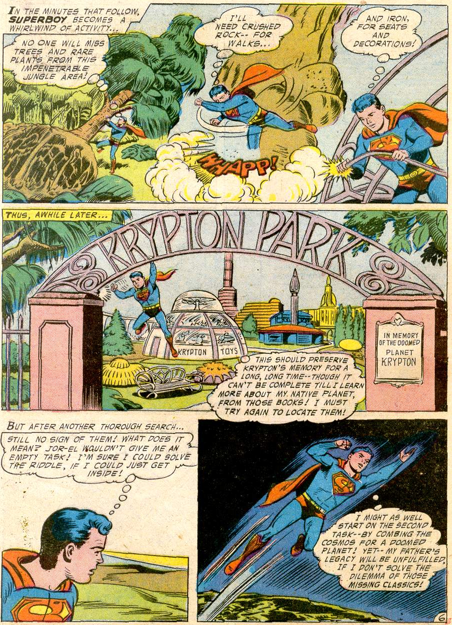 The Krypton Park that Superboy constructs could have easily returned in later stories, but as far as I know never did. Superboy lucks out on his way back from saving a planet, flying through a comet that temporarily gives him an immunity to kryptonite, allowing him to enter his home and search for the classic novels. 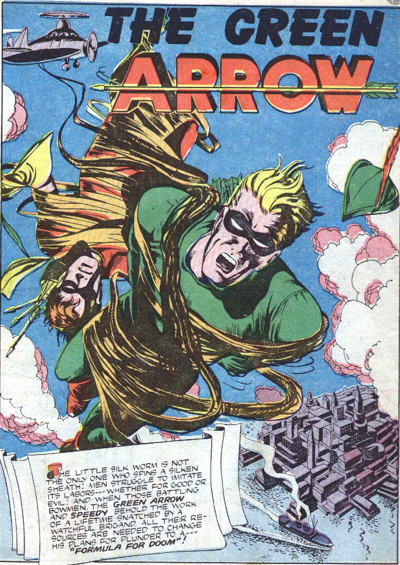 It’s a shame this was not drawn by Curt Swan, as the bit we see of his home is as dull and prosaic as possible. Clark’s tears are the trigger that starts broadcasting the classics. 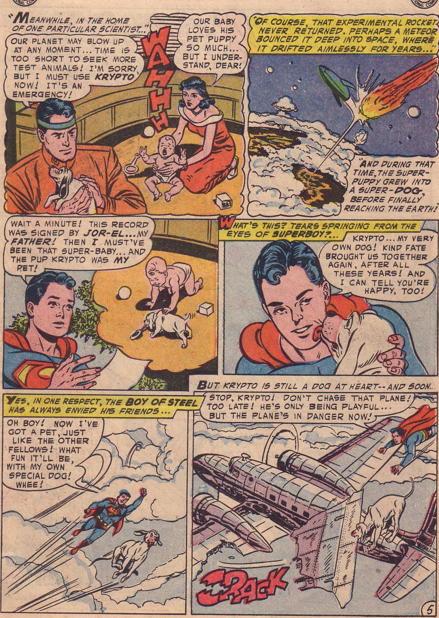 So not only was Jor-El a bit of a control freak, he also really wanted to traumatize his son, and then reward him. At the end, Clark constructs a big lever and jumps on it to send the city back into space. Not a great story, I have to admit, but a step on the way to Kandor. Adventure 210 – Krypto debuts! It’s amazing how Kryptonian pets look exactly like Earth pets, isn’t it? 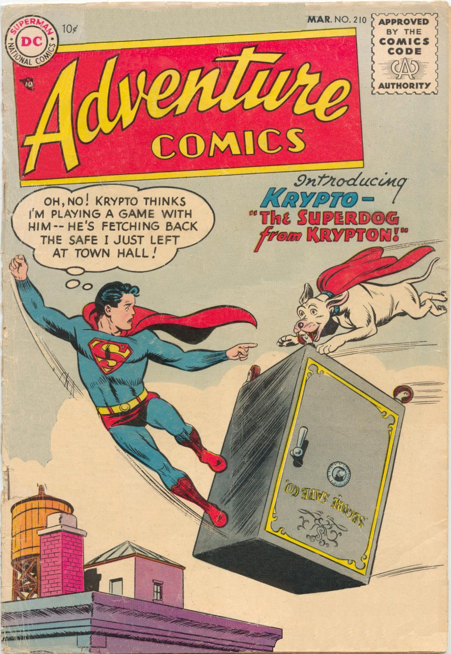 In a story all but overwhelmed by coincidences, Krypto the Super-Dog debuts in the Superboy story in Adventure 210, (March 1955). Readers were far less cynical than I, and the character was a huge success. The first of many, many (oh, sooooo many) Super- whatevers from Krypton. The story begins as Clark encounters a super-powered stray dog. 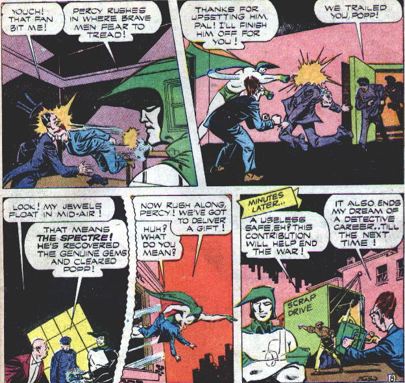 As Superboy he helps capture the animal, but the dog breaks free, just in time to cover Clark’s identity as robbers hit the Kent’s general store. Superboy follows the flying dog, who leads him to a small rocketship, which just happened to land right outside of Smallville. In it, Superboy finds a note from his parents. 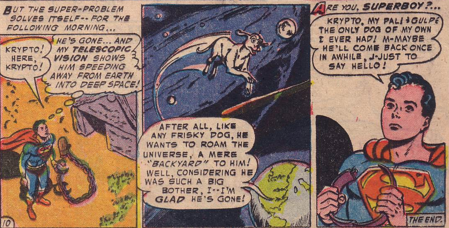 And wouldn’t you know it, Krypto was young Kal-El’s dog back on Krypton! It turns out Jor-El had built a model spaceship, and wanted to test it out before putting baby Kal into the larger ship. So of course he took the beloved family pet and shot it into space in the rocket. What else is a loving father to do? 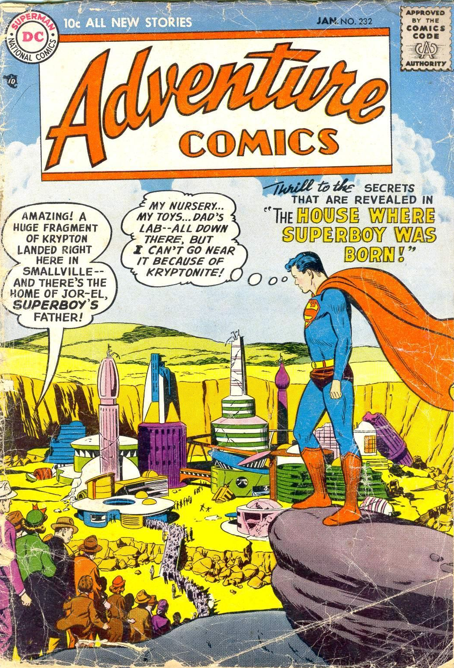 Superboy is thrilled to have a super-pet, and builds him a stone doghouse. Together they play catch and all is well until Lana Lang sees Clark tossing a girder into the sky. 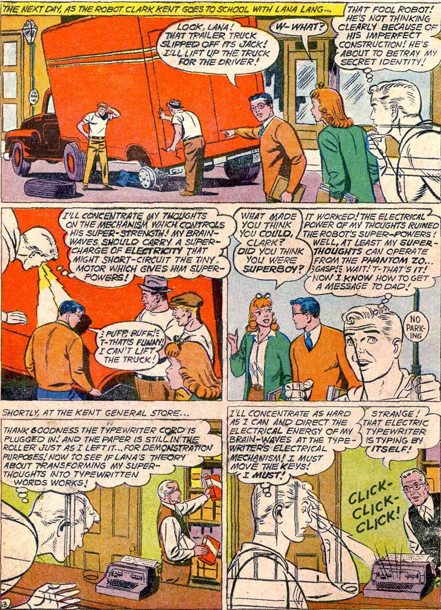 Together Superboy and Krypto convince Lana that Clark is not Superboy, and Clark blames Krypto for almost giving away his identity, even though it was entirely Clark’s carelessness that caused the problem. Likely resenting being blamed for something he did not do, Krypto takes off at the end of the tale, flying off into space. The ending makes it seem like this was a try-out for Krypto. If readers had not responded positively, we would never have seen the super-dog again. But as Krypto returned a mere four months later, the editors must have decided they had a good thing on their hands and not even waited for reader response to bring the super-dog back. I also have to mention the great art by Curt Swan on this tale, which rendered Krypto’s face with all manner of emotion, even though he does look a little like Pluto from Mickey Mouse.